Take peace of mind along for the ride every time you get in your car. 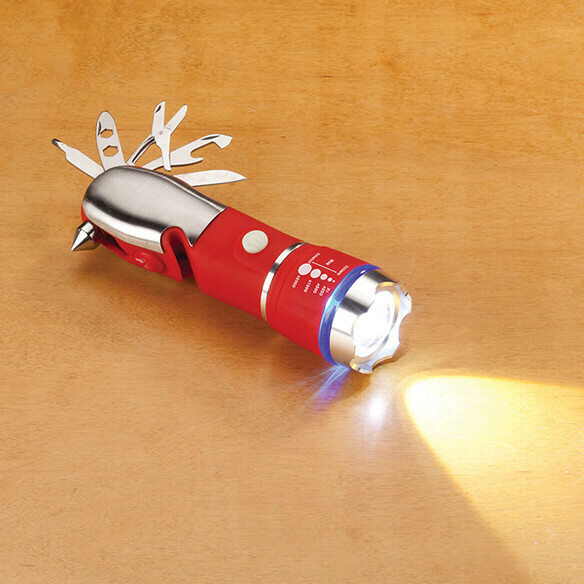 Multifunction LED zoom tool by LivingSURE™ features everything you need in an emergency or for convenience on the go. 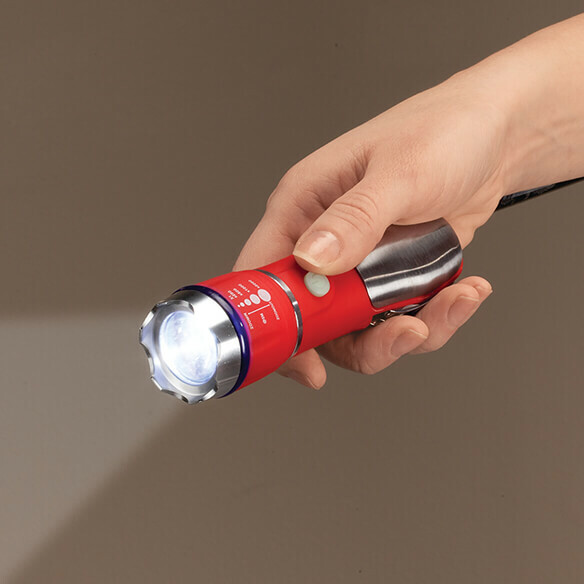 Bright LED light zooms in to provide a focused beam right where you need it, with high, low, and flashing options and an on/off button designed to glow in the dark. The car escape tool breaks a car window if you’re ever trapped. Other fold-out tools include a knife, bottle opener, scissors, and Phillips and flathead screwdrivers. Makes a great gift! Requires 3 AAA batteries (not included). Zoom flashlight measures 5 7/8" L x 1 3/4" W.
Unfortunately the flashlight part of this tool did not work. I am hoping to get a working one as a replacement as it seemed like a nice item. 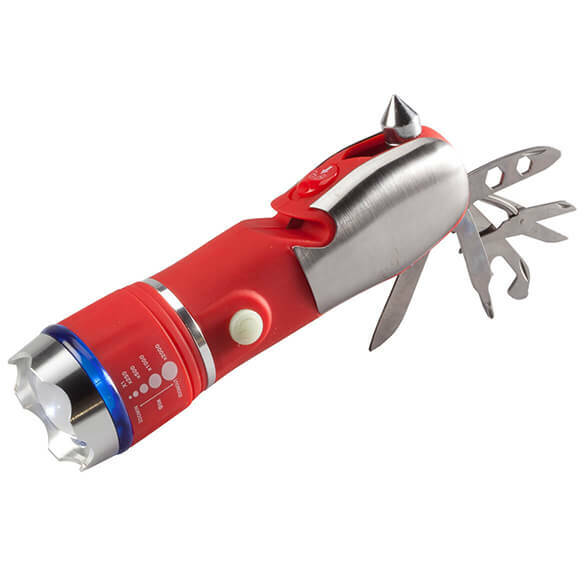 It is both useful when I am out and I need to cut a tread hanging from my dress that I didn't notice while at home and the flashlight when I caught by the dark outside and looking something in my bag or in the compartment of my car. Very handy tool to have around in an emergency.